Day 2 of my magical gratitude practice. 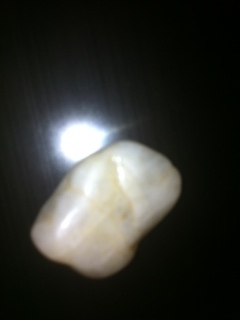 The gratitude rock is small and white and I like the focus for meditation. Although I much prefer the flame, the flame stays with the candle and the small stone nests warmly between silk and the girl closest to my heart. It’s flat enough not to mess with the line of my blouse. Night came early with the fall back to central standard time, so when the rain came I could hear it but not see it just beyond my window.